When you’re training for a marathon, you have a lot of time to think. Who’s running faster than you? Who are you passing? Maybe you’re on pace to break your own personal best record. Or maybe, like me, you’re just wondering if you’ll be able to put one foot in front of the other enough times to cross the finish line without having to be picked up by the Medi-Vac vans! This year, I ran my first Boston Marathon. Since I ran my first marathon in 2011, this has been a big goal for me. But life doesn’t always cooperate with the ideal path to your goals – financial or otherwise. Job losses, health concerns, family problems—all of these can make it more challenging to reach the “finish line,” whatever that represents for you. 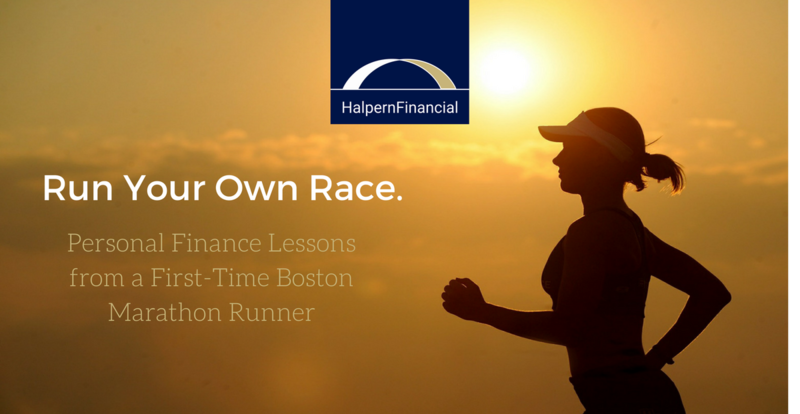 The important thing—and the thought I focused on during the marathon—is to run your own race. Leading up to a marathon, they say you should run at least 40 miles per week (peaking at 50). One month before Boston, I knew I was behind on my mile count due to a busy winter. We all know we need to prepare for our goals, but the holiday season can get us all off track with fitness and finances. I was confident I could run Boston, but like a saver who is counting on a bonus to meet a particular goal, I was counting on a weekend trip a month before the race to catch up on my training. I knew that on that weekend, I would have the time to do a long training run. Then just a few steps into that run, I stumbled and severely pulled my hamstring. Ouch. What happens when you encounter a major roadblock like this on the path to your goals? You have to adjust. Maybe you have to scale back your goal, or decide to achieve it at a slower pace. Most importantly, you have to focus on your path to your goal—not anyone else’s. I took my injury seriously and knew I needed help to determine how—and if!—I could still race. So I saw a doctor and worked on a plan. He determined that it could be safe for me to run Boston—as long as I followed certain parameters. 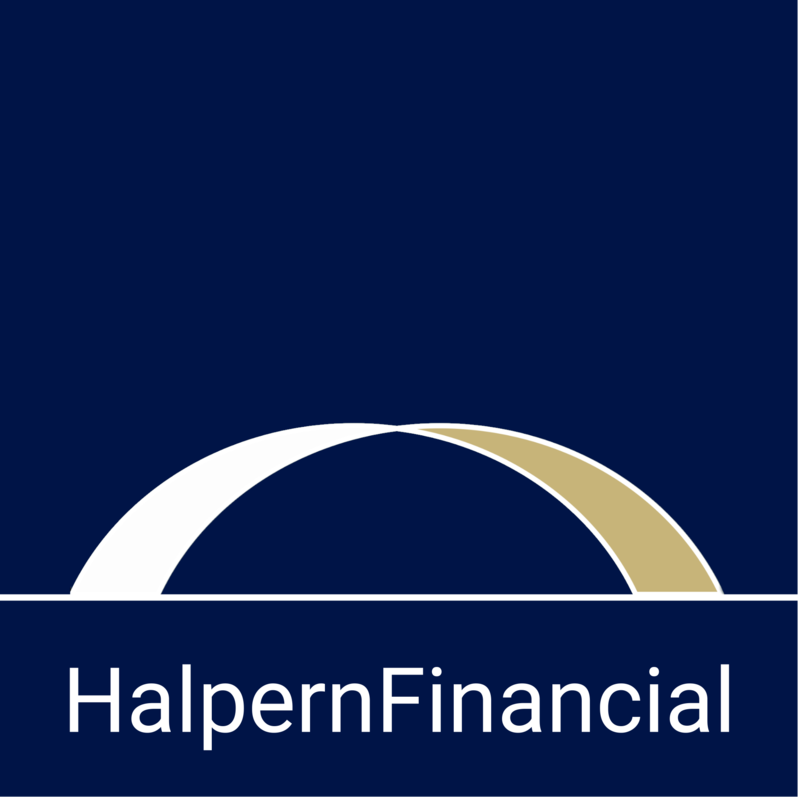 I do the same thing for my clients who may have encountered roadblocks like a loss of income. It doesn’t necessarily mean that financial goals like buying a new home or saving a certain amount for retirement are impossible—but it is likely that the strategy needs to change. Leading up to the race, I was cautiously optimistic. My injury rehab and race training were going well, and it looked like I could run Boston as long as nothing else went wrong. I knew I was not going to beat my personal best time. But just being able to run Boston was an honor and I really wanted to take advantage of it if I could. I just hoped I wouldn’t be crossing the finish line in the paramedics’ van. Finally the starting gun went off! In the beginning of the first half, I felt pretty good, but the sun was beating down brightly on all of us. By mile 13, I was really worried. I didn’t feel great. I was looking down, pondering my situation, not sure if I would be able to finish. Then I heard my name. It was my husband at that exact low point calling out my name, waving with a big smile on his face. It was great! It was a reminder that although the situation was challenging, I did have enough and I definitely was surrounded by the people who matter to me. All of our resources are finite. However, when you know your priorities, you can see clearly where you should be ‘spending’ your resources. My first priority was my health and my second was to not let myself or my husband down. Those were my goals. Just as you shouldn’t worry about keeping up with the Joneses with every new car or kitchen remodel, I didn’t worry about the runner next to me whose goal may have been to reach a personal best. So I kept going, and I finished. I didn’t have a great time. I was slower than normal. But I ran my own race and finished without injury, so it was a success! I will say that it was a very difficult race. The good thing about Boston is that most of the runners are very experienced—they have qualified to run this race by achieving a certain time. They have the experience to know the importance of preparation. Having a plan will always beat out having no plan—and that holds true for fitness and financial goals.